The city of Austin's Hip-Hop, R&B, and Pop community are finding themselves in a renaissance period, garnering more notoriety and opportunity within the city limits. 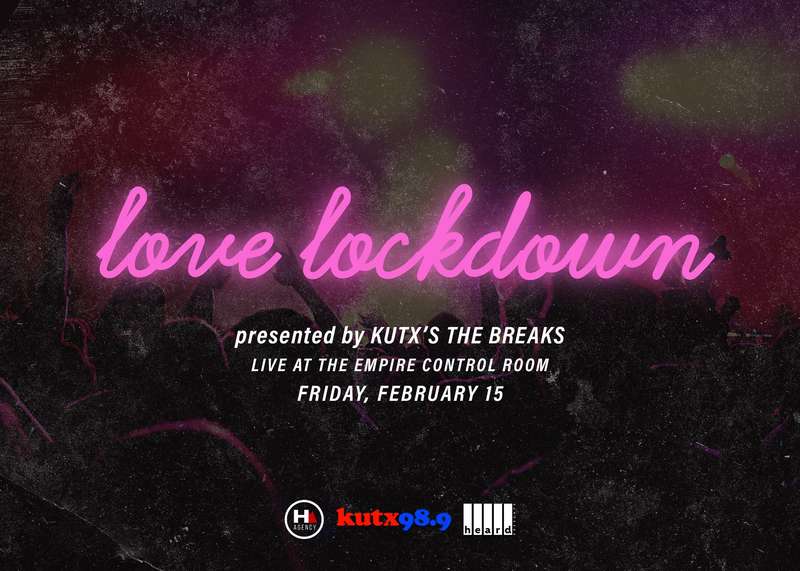 In appreciation of these artists' creativity, hard work on their craft and building the scene from the ground up, KUTX'S The Breaks is presenting 'Love Lockdown' on February 15th at Empire Control Room. The event is focused on the R&B and Pop and will feature homegrown talents that making a substantial impact on the scene and its respective sound. 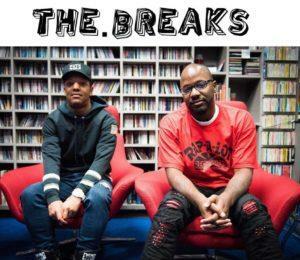 The event will be hosted by Austin's #1 Hip-Hop and R&B radio show, The Breaks, who have selflessly merged both national and homegrown acts on their Saturday night radio show. The hosts, Confucius and Fresh, not only want to highlight the hottest artists in the city, but also to bring various pieces of our community together, uniting in appreciation of Austin's vibrant music community. As a reflection of our commitment to the advancement of our music community, 25% of each ticket sale will benefit Boys & Girls Club of Austin, aimed at helping fund after school programs for Austin's youth and future. For each ticket sold, 2 trees will be planted in Madagascar through The Eden Reforestation Project -https://edenprojects.org/. The event will also have drink specials for the evening celebrating the music and The Breaks, curated and featuring Treaty Oak Distillery spirits.